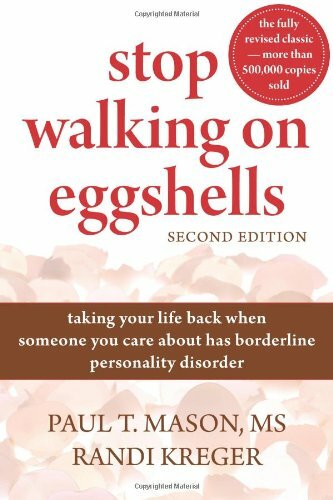 'Stop Walking on Eggshells' is a self-help guide for family and friends of individuals with borderline personality disorder, a condition twice as common as schizophrenia and more common than Alzheimer's disease. Randi Kreger has brought the concerns of family members who have a loved one with BPD to an international forefront through her website, www.bpdcentral.com , and the Welcome to Oz online support community. Through Eggshells Press, she offers family members a wide variety of more specialized booklets and other materials. She was also instrumental in the formation of the Personality Disorders Awareness Network (PDAN), a not-for-profit organization. Kreger is author of The Stop Walking on Eggshells Workbook and The Essential Family Member Guide to Borderline Personality Disorder . She speaks and gives workshops about BPD internationally. Walking on Eggshells: Does Someone You Care About Have BPD?